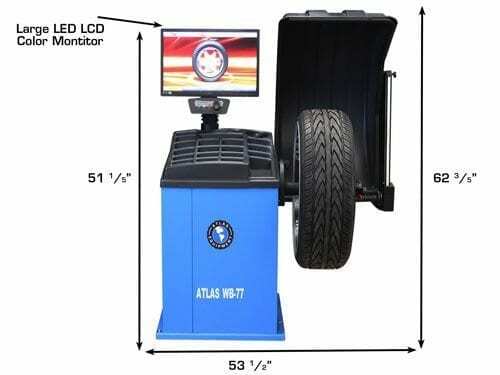 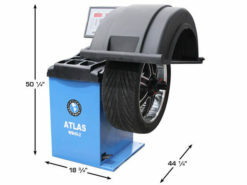 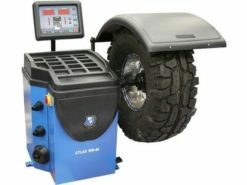 The Atlas® WB-77 is the most technologically advanced wheel balancer in the full line of Atlas® computerized wheel balancers. 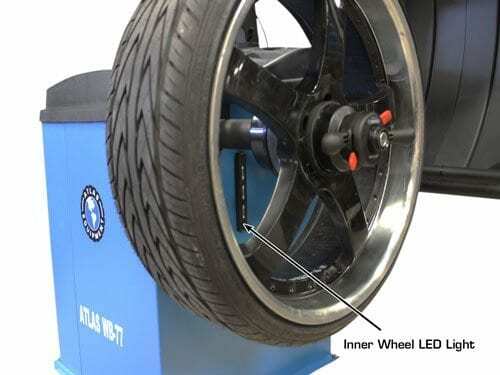 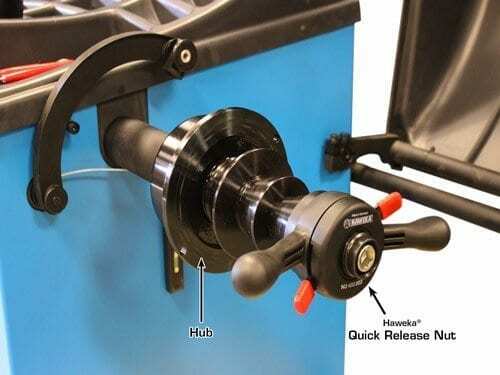 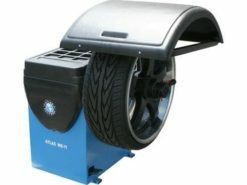 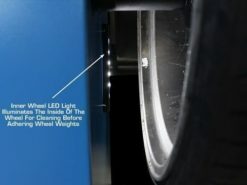 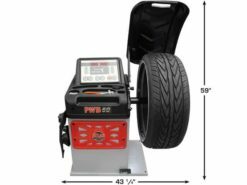 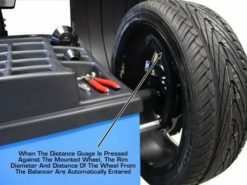 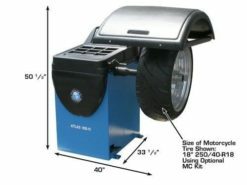 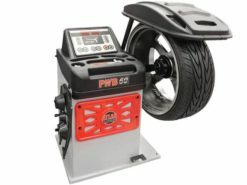 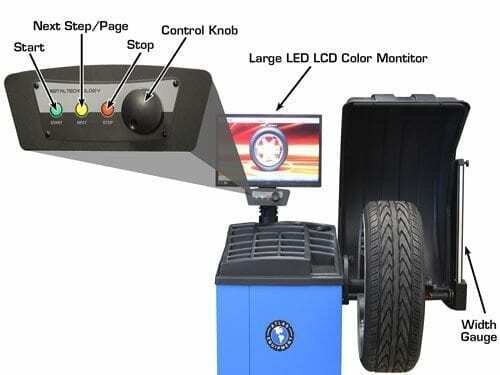 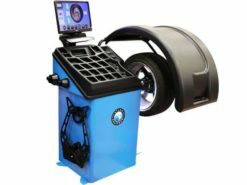 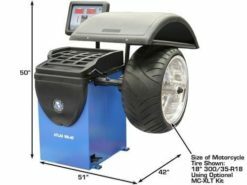 The WB-77 offers features that can only be found on other BIG NAME computer wheel balancers costing several thousands of dollars more. 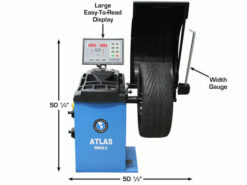 The DM (direct measurement) technology is the key to the simplicity and accuracy of the Atlas® WB-77 wheel balancer. 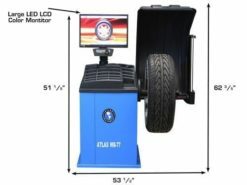 Many BIG NAME computer wheel balancers have some variation of direct measurement technology that is based upon wheel parameters. 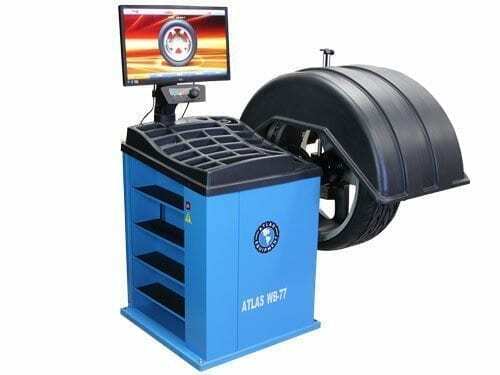 The Atlas® WB-77 uses whole cycle direct measurement technology which is based upon where the wheel weight will be applied and NOT on the wheel parameters. 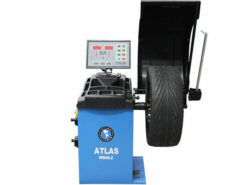 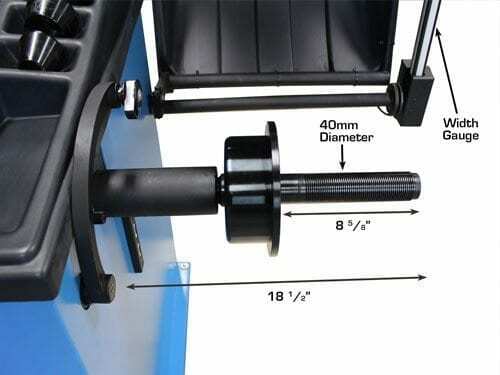 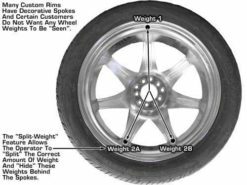 These wheel weight locations are automatically calculated by the Measuring Arms. 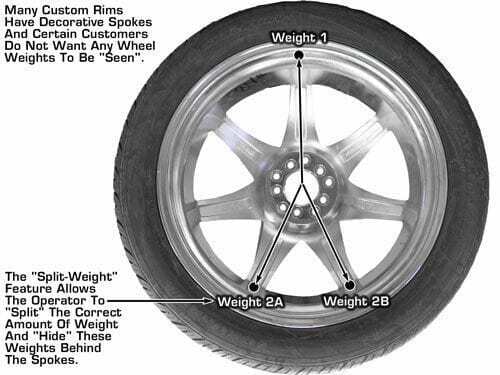 Rim Sizes (cars and light trucks) 10"-28"
Max. 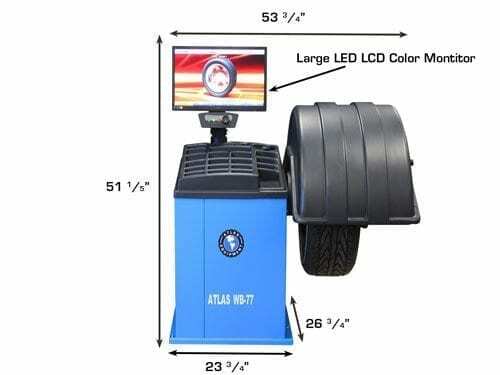 Wheel Weight 154 LBS.